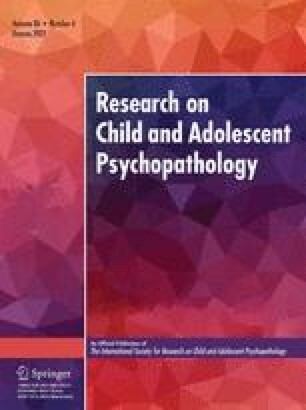 The present study examines the relation between psychopathy and the Big Five dimensions of personality in two samples of adolescents. Specifically, the study tests the hypothesis that the aspect of psychopathy representing selfishness, callousness, and interpersonal manipulation (Factor 1) is most strongly associated with low Agreeableness, whereas the aspect of psychopathy representing impulsivity, instability, and social deviance (Factor 2) is associated with low Agreeableness, low Conscientiousness, and high Neuroticism. Data from 13- and 16-year-old boys and their mothers from two samples of the Pittsburgh Youth Study are used to test these hypotheses. Results were consistent across age and rating source in supporting the initial hypotheses, providing support for the construct of juvenile psychopathy and the interpretation of psychopathy as a constellation of traits drawn from a general model of personality functioning. 1.Department of PsychologyUniversity of KentuckyU.S.A. 2.Institute of Psychiatry, Department of PsychologyUniversity of London and University of WisconsinU.S.A. 3.Department of PsychologyUniversity of Southern CaliforniaU.S.A. 4.Life History Studies Program Western Psychiatric Institute and ClinicUniversity of Pittsburgh Medical CenterU.S.A.